Have you ever had the opportunity to get up close to a real lion? If you have, you would never forget the experience. Lions are incredibly majestic, even when they are in captivity. There is something inside of them that knows who they are and they carry a ferociousness that it quite terrifying to their enemies. Over the years, I have had many opportunities to observe these beautiful creatures. Each time that I have had a lion encounter, it has literally taken my breath away. At one such occasion, I was standing face to face with only a thin cage and a couple of feet separating us. When this king of the jungle roared at me, his breath swept across my face as he showered me with his spray. At the moment, I was absolutely overwhelmed and thrilled to experience his majestic roar as it continued to reverberate around our concrete surroundings. Fear is a powerful adversary. It lies to us. It cheats us. It prevents us from walking in the truth. Fear is the root of worry. Fear paralyzes, it torments, it causes people to hide in the shadows. Fear manifests itself in many ways. Fear of the future. Fear of poverty. Fear of death. Fear of sickness. Fear of man. Fear of rejection... and so on. The only real power that the enemy has over us is deception. Jesus called him the 'father of lies' in John 8:44, so when he lies to us, he is speaking his native language. His hope is that we would believe what he says about us and not believe who God says we are. Jesus told us in John 10:10 that his purpose is to kill, steal and destroy and fear is one of his greatest weapons. The Apostle Peter tells us in 1 Peter 5:8 that the devil 'walks around like a roaring lion, seeking whom he may devour.' 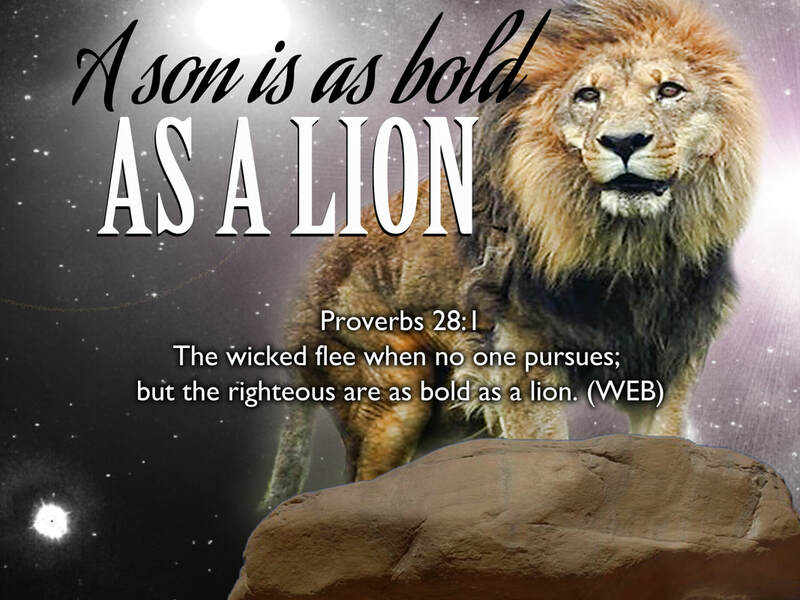 I believe that the emphasis should be that he walks around 'like' a roaring lion but he is not a real lion. He just wants us to think that he is. The REAL lion, is our Elder Brother, who has a name above every other name and is called 'The Lion of Judah'. The destiny that we have been called into, is that of being joined with Jesus. His life is our life. His power is our power. His inheritance is our inheritance. He has not given us a spirit that makes us a slave to fear, but He has given us the Spirit of Sonship so that we can call out to God and call Him our Abba, Father! You may be facing many challenges in your life that may cause you to be afraid. Jesus told us in Luke 12:32 that we don't have to be afraid because our Heavenly Father is delighted to give us His kingdom. My prayer today is that each one of us would experience a deeper revelation of the love of God in our hearts that would drive all fear away. May the eyes of our hearts be opened today, so that we could see what our glorious inheritance is in the saints (Ephesians 1:15-23). May we experience a new boldness rooted and grounded in love that would cause us to live a life free from fear. May we know that our Dad is the biggest, strongest Dad in the universe and He has promised to keep us safe in His strong arms. May we have the security today in knowing that our Big brother, the Lion of Judah, has triumphed once and for all (Revelation 5:5). May we all rest in the unchangeable reality that one roar from Jesus will cause every one of our enemies to flee in absolute terror... just because we are part of God's amazing family!